These two images were taken in the 7-day trip in Hobart. They are now part of my beautiful memories. The featured photo in fact is nothing special in its original colour. But I found it is more interesting in Black and White. I also cropped the image so that the focus is in the centre. The lights and shadows are intertwined. Another one was taken in Battery Point, on the pathway outside the entrance of a house. Battery Point is very stylish and worth everyone to spend some time there. 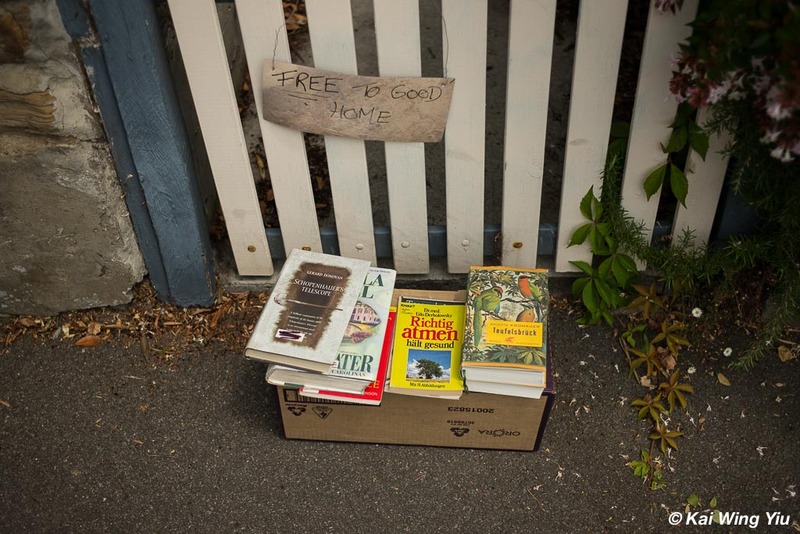 It is a good habit to give away books. These two images were taken on the same day using the Summicron-M 35 mm f/2.0.